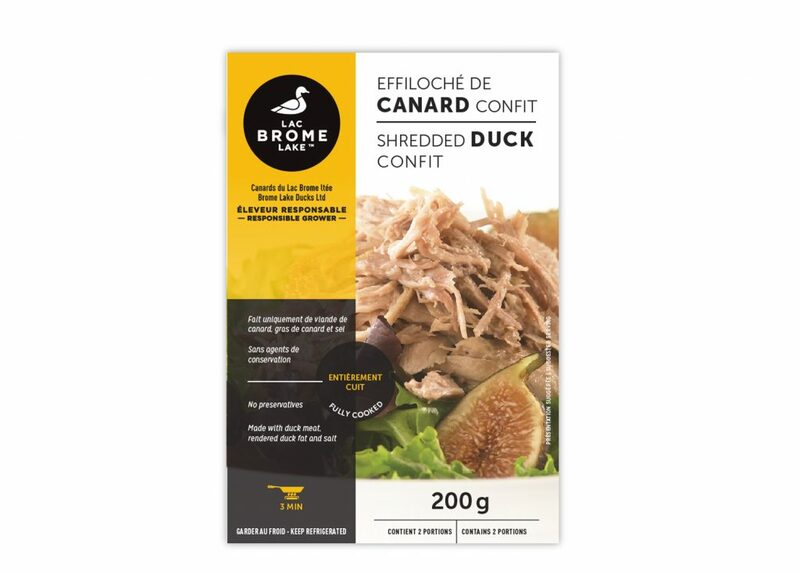 Very versatile, our shredded duck confit meat allows multiple uses: pizza, salad, tacos, duck ragout, ravioli filling, duck poutine, amuses-bouches, sandwich, good substitute for pulled pork. Duck, rendered duck fat, salt. Remove the packaging. Brown the meat in a frying pan over medium heat, without adding any fat, for 3 to 4 minutes until the meat is hot. Serve. Do not open the bag. Place the bag in boiling water for 8 minutes. Remove the package from the water and open with scissors (be careful, it’s hot!). The meat may be browned briefly in a frying pan before serving. Pierce the packaging and place on a microwave-safe dish. Cook at maximum power for 1 minute to 1 minute 30 seconds, or until the meat is hot. 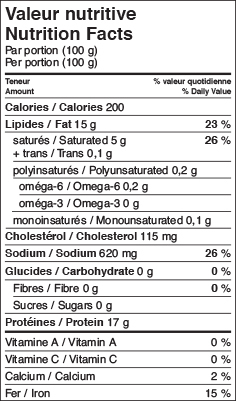 The meat may be browned briefly in a frying pan before serving.